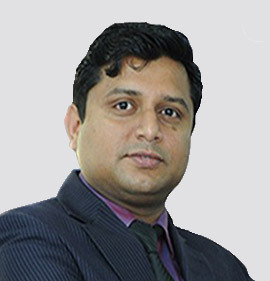 Enterprise Digital Leader 2017 and Digital Retail Leader 2018 by MIT Sloan Review and the Khaleej Times plus CIO of the Year 2018, Kumar Prasoon is the Chief Information Officer (CIO) for a prominent retail chain and honored as one of the Global Topmost CIOs in the Middle East and Africa (MEA), Asia and also at the international level. In this prominent role, he makes technology recommendations for the group’s executive management on the aspects of Fuzzy Analytics, Business Intelligence; BigData, IoT /IIoT, BlockChain, cloud computing, enterprise 2.0, integrated systems architecture and virtualization. Being the founder of Fuzzy Analytics Framework and Modern Industrial Complex Mathematical Calculus for Emerging Technologies, Kumar is also the global leading Industry Researcher, Scientist and Technology Evangelist for Smart Systems, Smart Retailing, Smart Cities, Smart Parking, Smart Engineering , Smart Instrumentation , Smart Metering and Industry Quantum Mechanics employing the Modern Emerging Technologies. He chairs as an advisory board member with numerous national and international consortiums in the capacity of consulting, research and bringing supreme Industry Innovations. Another strong facet is his contribution to the Academia Sector for the Global Universities from Far East to West where he has mentored , coached and executed successful projects with hundreds of incumbents in Bachelors , Masters and Doctorates in Engineering , IT , Business and Management in the areas of Emerging Technologies , Emerging Markets and Emerging Systems. Title: "Intelligent RETAIL Business BlockChain: CREATING SMART RETAIL ENTERPRISE MOBILITY TRETAILOUGH SMART CONNECTED DEVICES"
Smart BUSINESS to Smart RETAIL Corporate – SMART SYSTEMS as an integral business partner to Corporate Strategy.